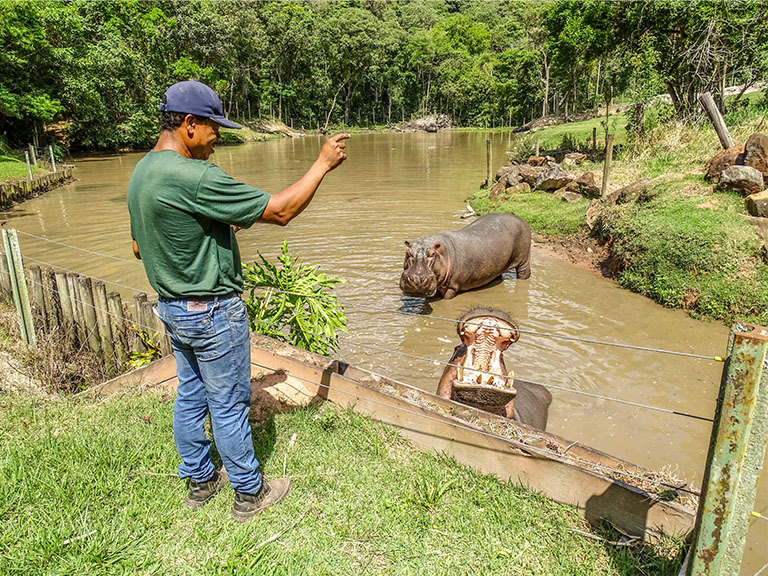 This Biome is one of the most important in Brazil and it is currently considered one of the most threatened in the world. 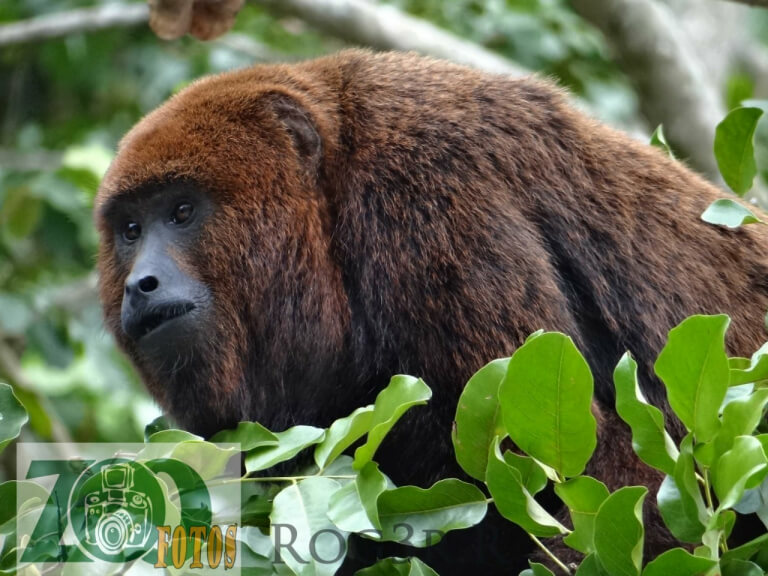 Its biodiversity of plants and animals is one of the largest in the planet. 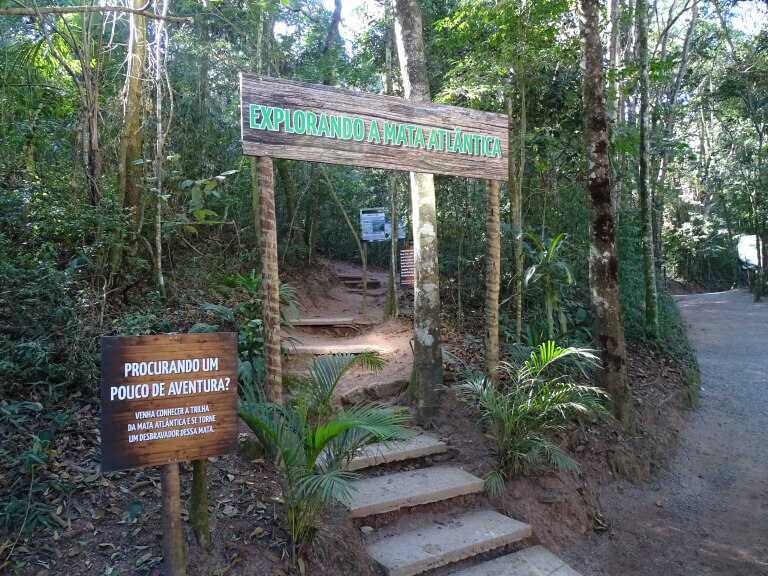 At Zooparque, visitors can enjoy this trail that represents the Atlantic Forest. 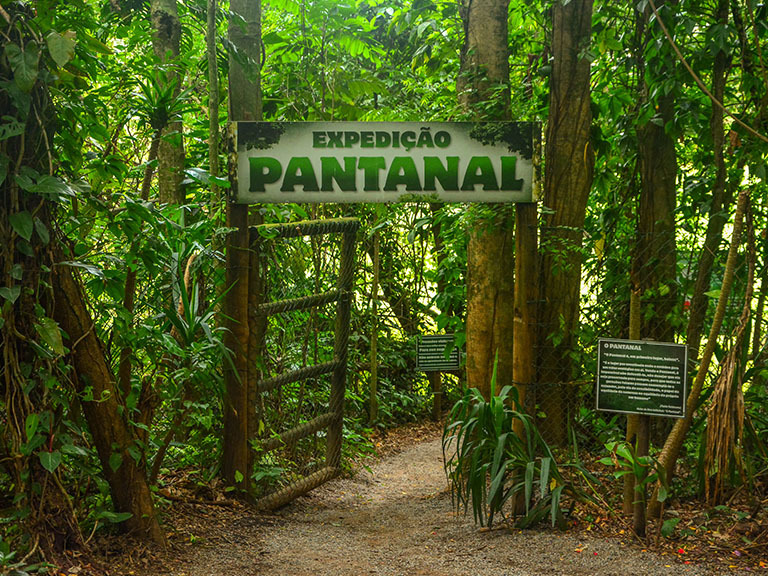 This trail reproduces one of the main Brazilian Biomes, the Pantanal. 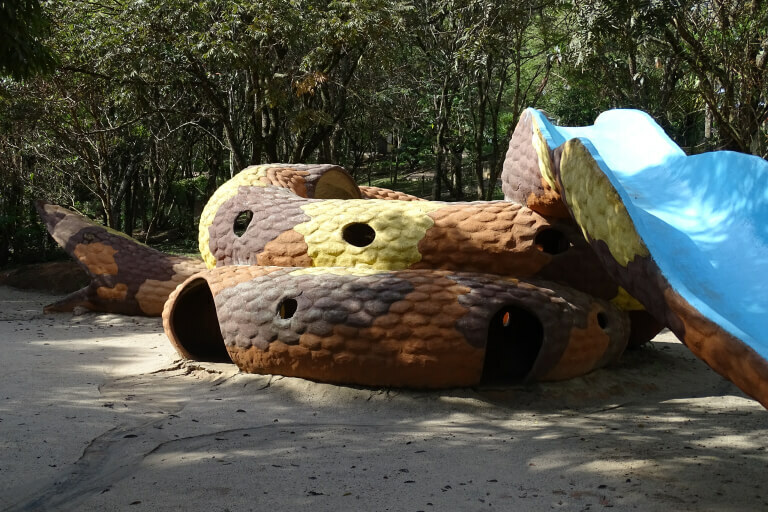 With didactic panels and inside the forest, visitors learn about its characteristics and understand the importance of this ecosystem. 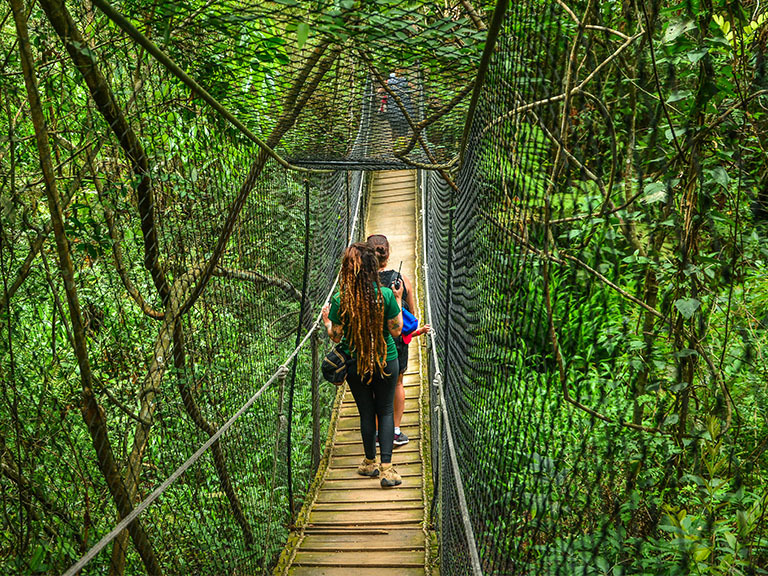 By crossing a suspension bridge, visitants have the opportunity to go through a closed forest environment, which reproduces the Amazon Rainforest. 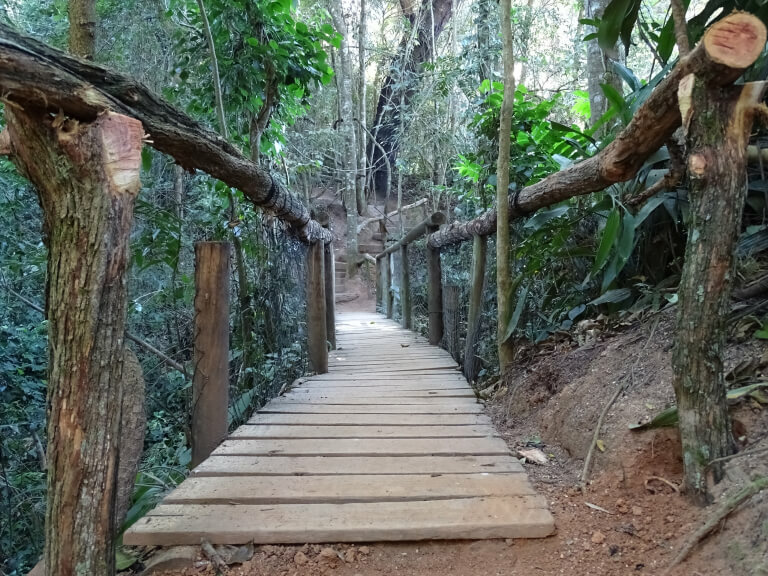 In this trail, we can learn and become aware of the importance of this Biome in contact with nature and animals. 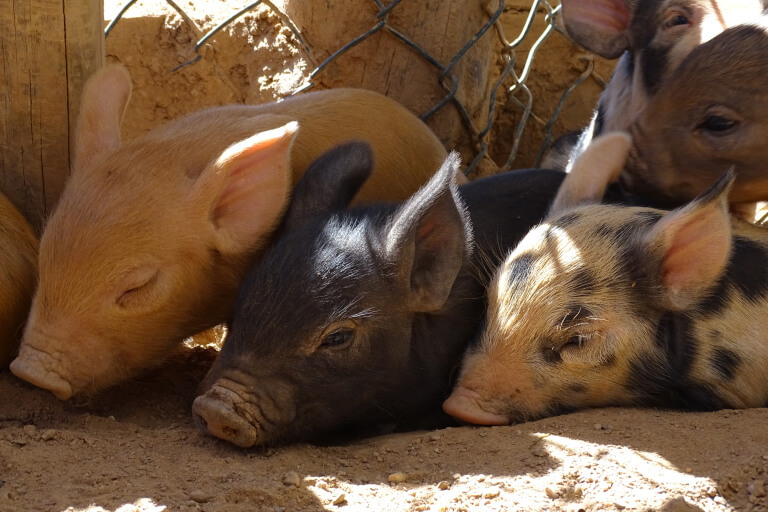 The Mini Zoo has an area of 4,000 m² with several enclosures that refers to the rural environment, and each one has different animal species, such as chickens, rabbits, guinea pigs, goats, pigs, mini cow, and other domestic animals. 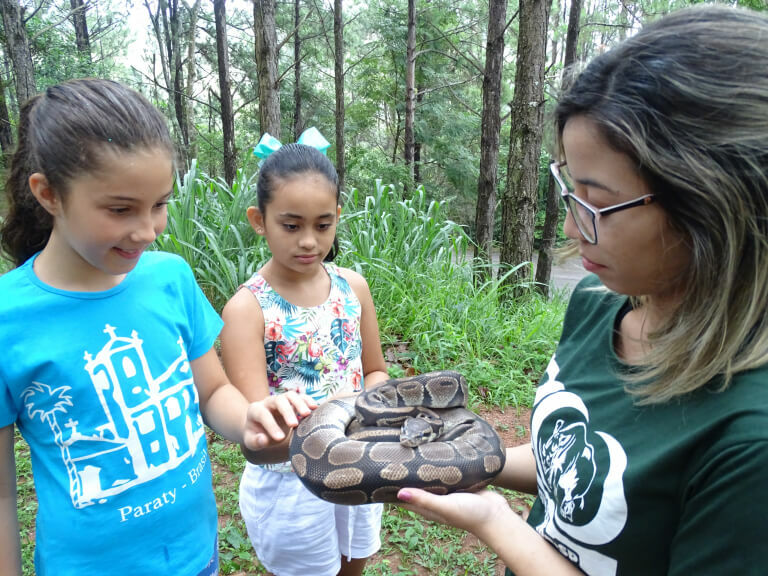 This space has the help of educators who assist in the interaction with the animals and who explain the importance of these species to our society. 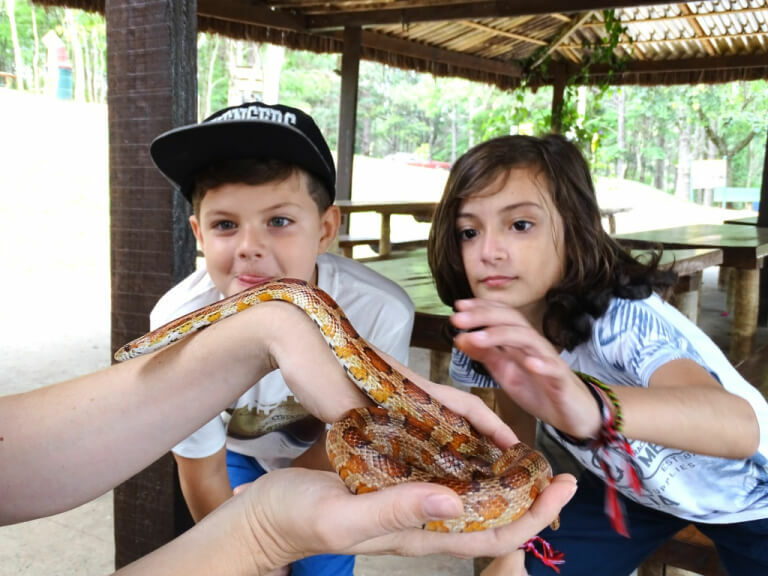 Weekends and holidays: open until 4:30 p.m.
At Zooparque, visitors have the opportunity to participate in a special meeting with some animals. 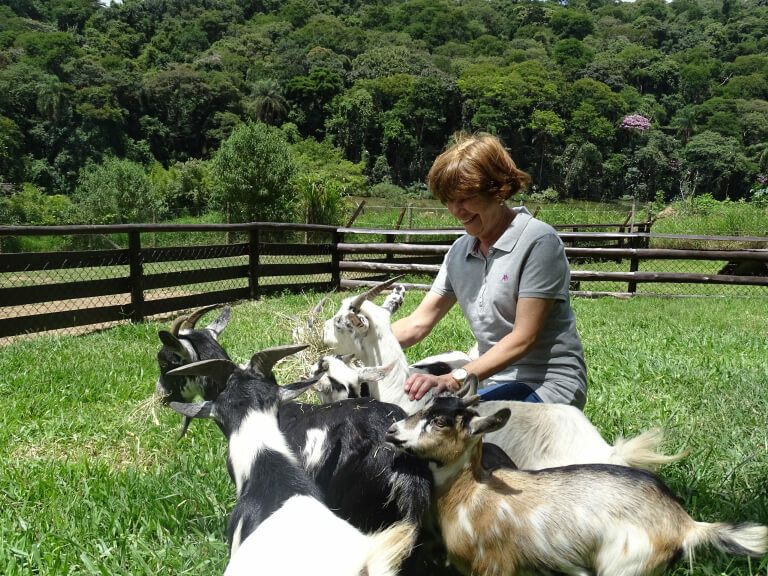 It is a special moment, when visitors can see the feeding of animals. 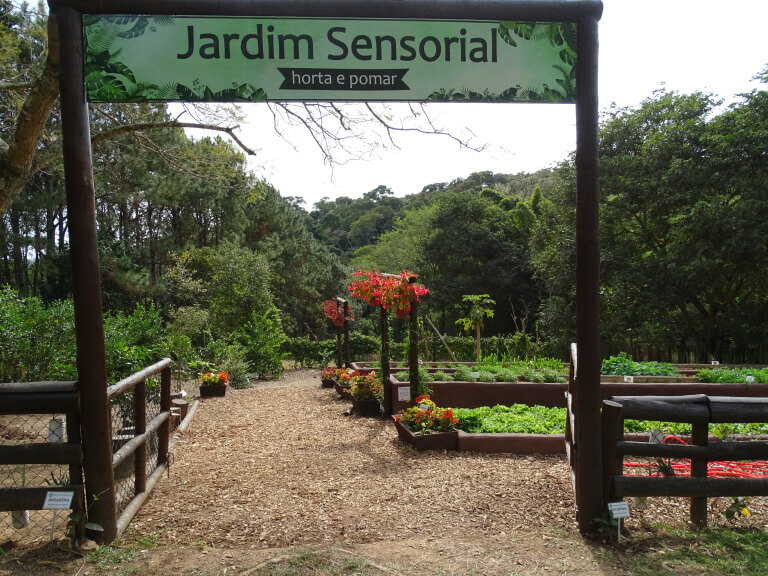 Contact with nature is very important for human development, that’s why Zooparque Itatiba has decided to create a Sustainable Sensory Garden. 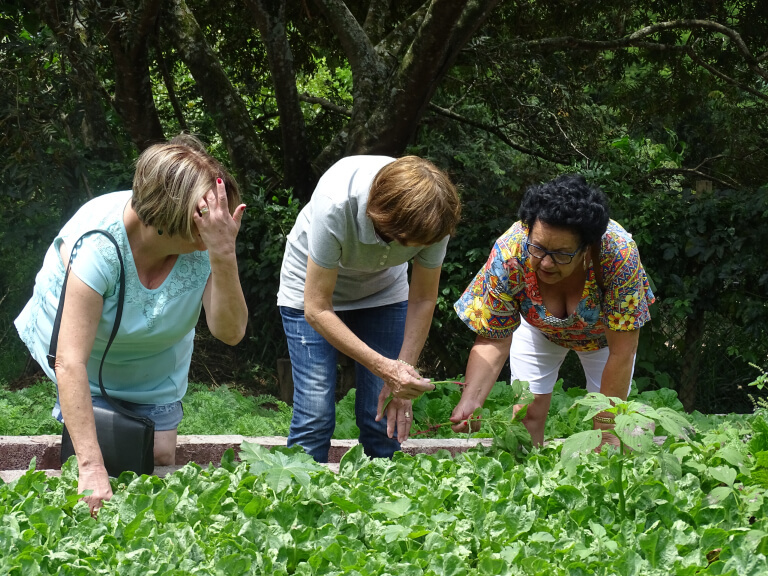 Visitors will learn in this space about the various types of leaves, flowers, fruits, vegetables, and substrates. 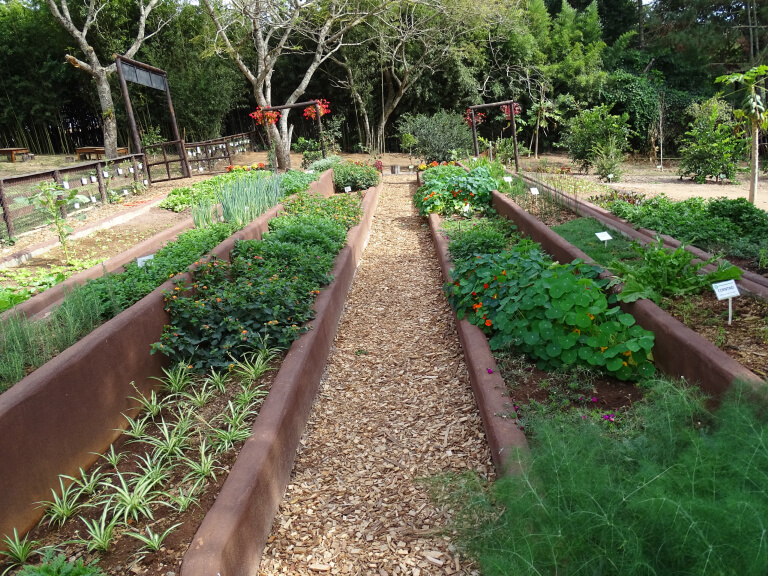 This garden helps to stimulate some of our senses: sight, smell, and touch. 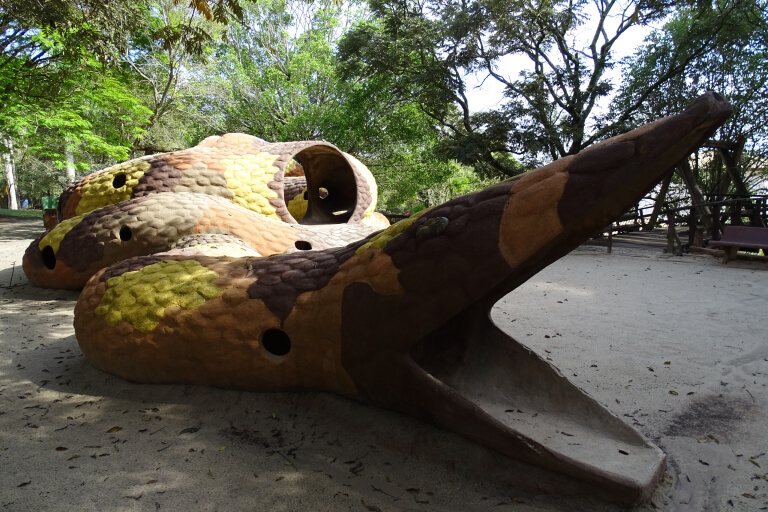 This is a super fun place for the little ones to go play after visiting the zoo. 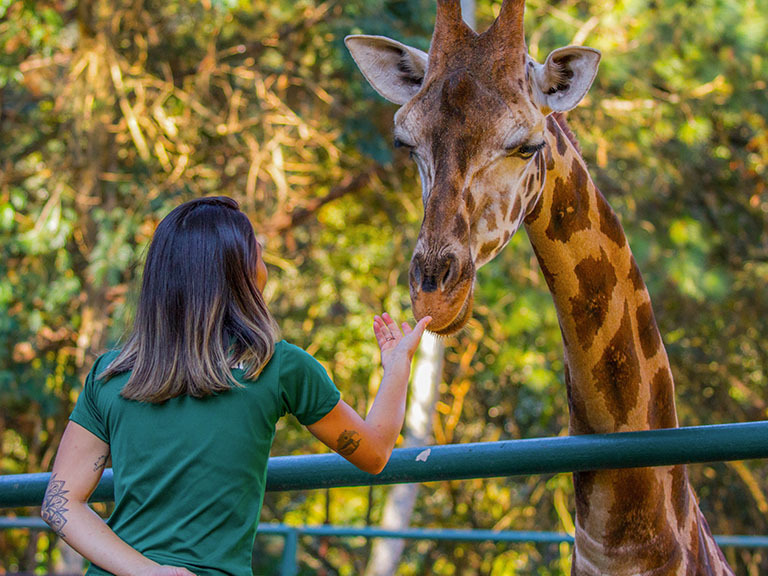 The Zoo Photos has several packages including Combo Paparazzi – an exclusive service in which a studio professional follows the visitor throughout the zoo taking photos of the family and animals. 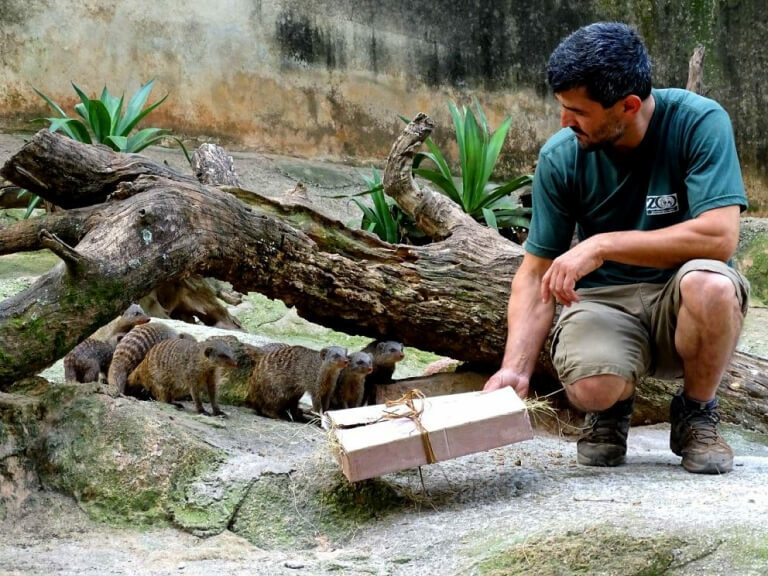 Important: you need to schedule this service in advance. 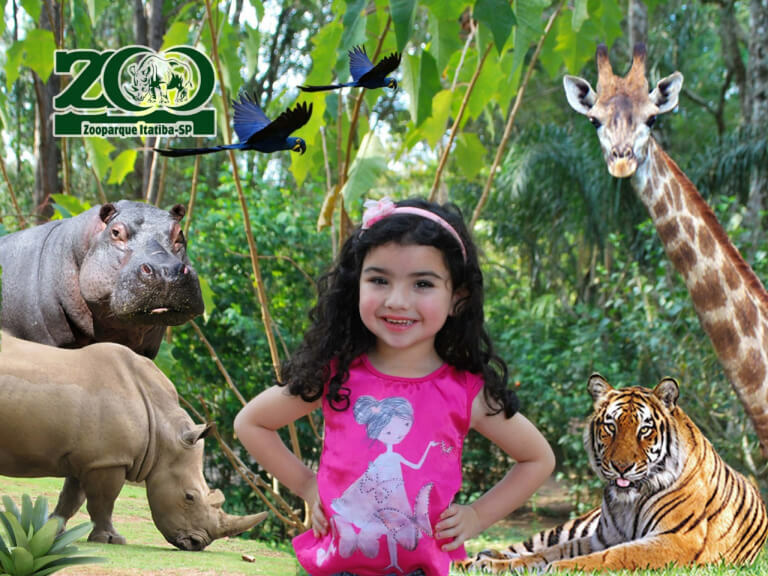 The Zoo Photos offers a custom Photo Souvenir on weekends, holidays, and summer/winter holidays. Weekends and holidays: from 9 a.m. to 5 p.m. 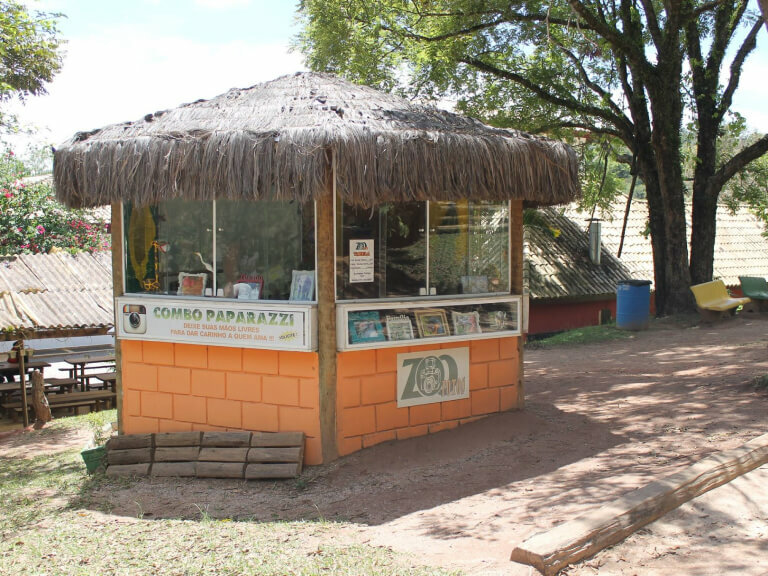 The Zoo Store is located right at the entrance, near the parking lots. Get a souvenir of this unforgettable day with us! 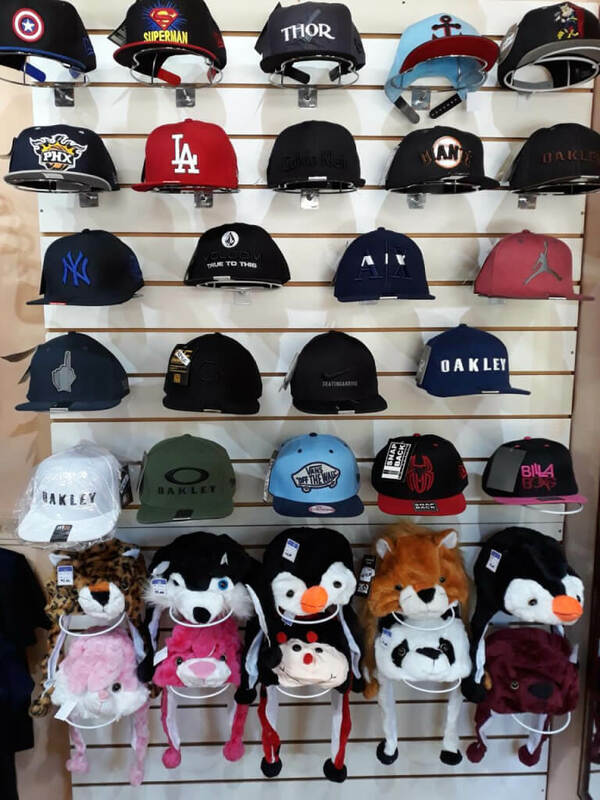 Here you will find the perfect souvenir to preserve this moment! 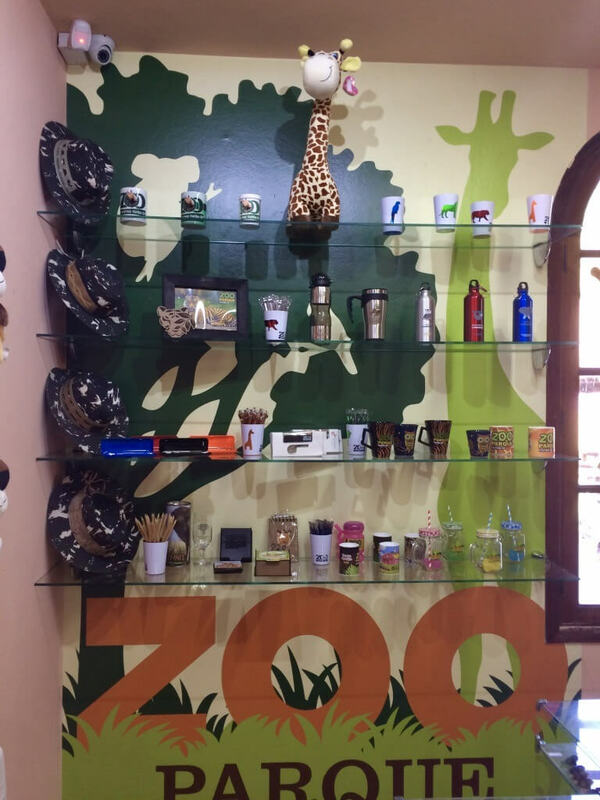 The Zoo Store is ready to welcome you with more than a thousand products including: key chains, mugs, t-shirts, cups, stuffed animals, refrigerator magnets, slippers, animal miniatures, bags, and more. They are special products, of great quality and at a very affordable price. 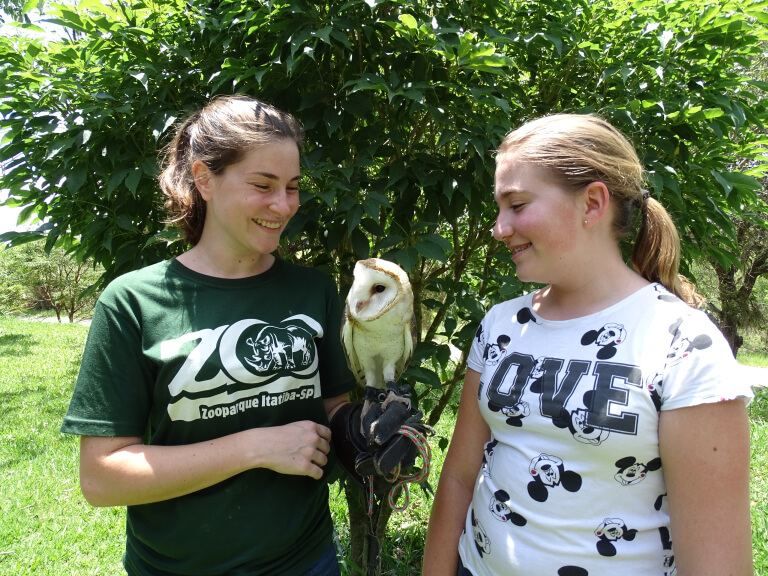 Will your school or group visit ZOOPARQUE? 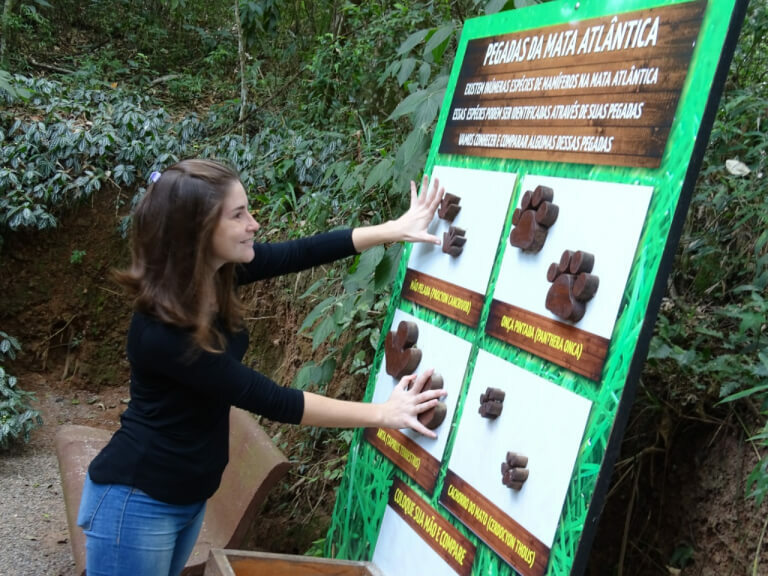 Thinking about the well-being of the group and as a practical alternative, the Zoo Store prepares kits that can be included in the package, such as: a mug and a keychain; or a cup with a small stuffed animal. 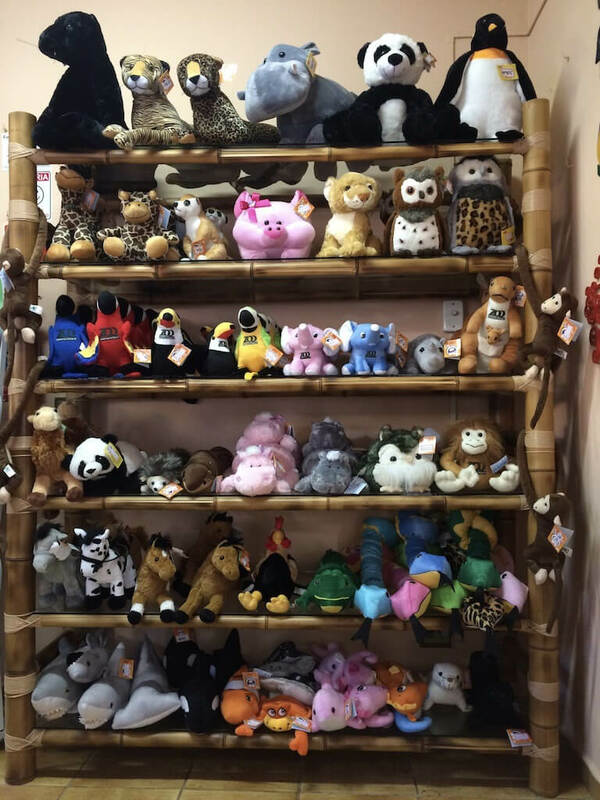 Be sure to include the Zoo Store in your visit! School teachers, coordinators, and monitors have 10% discount on any item. 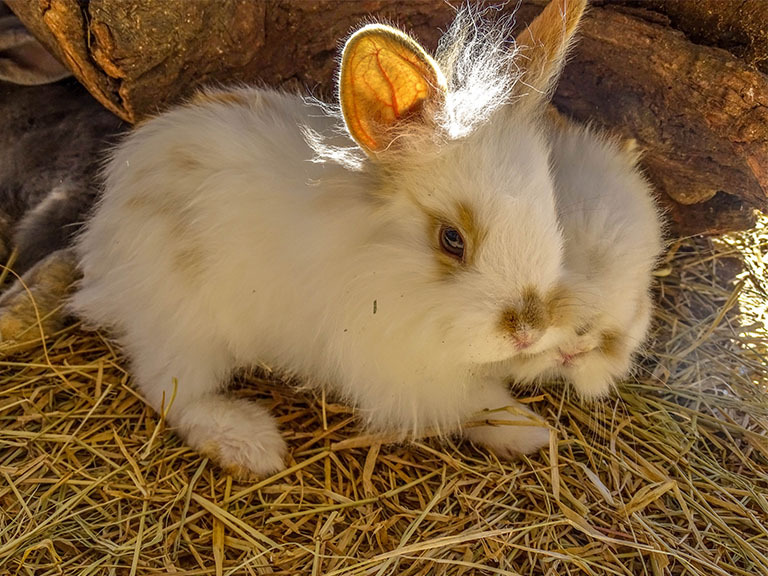 ACTIVITY SCHEDULES WILL BE ANNOUNCED AT THE ZOO. 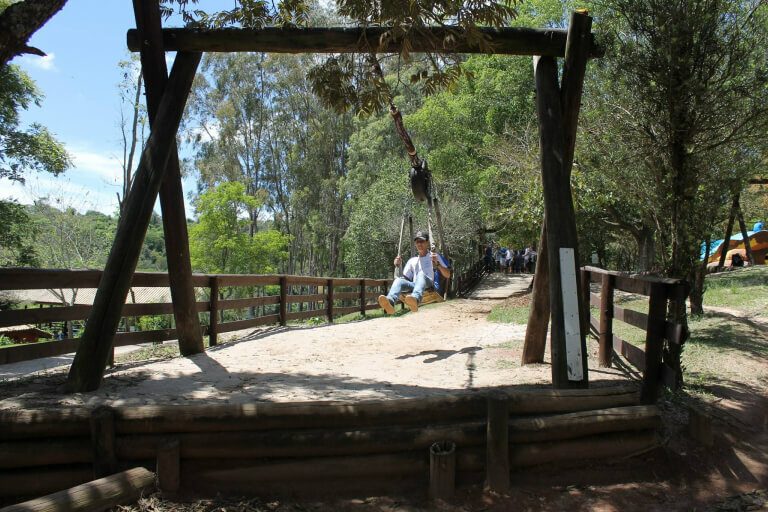 THESE ATTRACTIONS CAN BE CHANGED ACCORDING TO THE NEEDS OF THE ZOO WITHOUT PRIOR NOTICE.